Raspberries are probably my favourite fruit. I love the sweet taste and they look so pretty on tarts and desserts. After looking on the web for an easy, healthy recipe I found it. These raspberry oatmeal cookies are easy to make and healthy too. Almost just as easy as my homemade banana bread. You can double the ingredients for a bigger batch of cookies but for a cookie craving this amount is perfect! Preheat your oven to 180°C/360°F and line a baking tray with baking parchment. Mash the banana in a large mixing bowl, add the oats and raspberries and mix it together. Take a spoon to scoop the dough out of the bowl and use your hands to press them down on the baking tray. They won't rise a lot, so this is really a must. Place them in the oven for about 20 minutes and check if they are golden brown and won't fall apart when you lift them up. They are supposed to be quite soft and moist and I really like them. They are not your typical crunchy cookie but these are so easy to make, delicious and really good for you! Click here to see more of my baking posts! omg so easy! i have to bake them! soon! These look and sound so delicious (and so simple) hun, I definitely need to try and make these. So pretty! Wow these are so easy to make and look so yummy! Raspberries are my favourite fruit too although blueberries are a close second! These both look and sound utterly delicious! 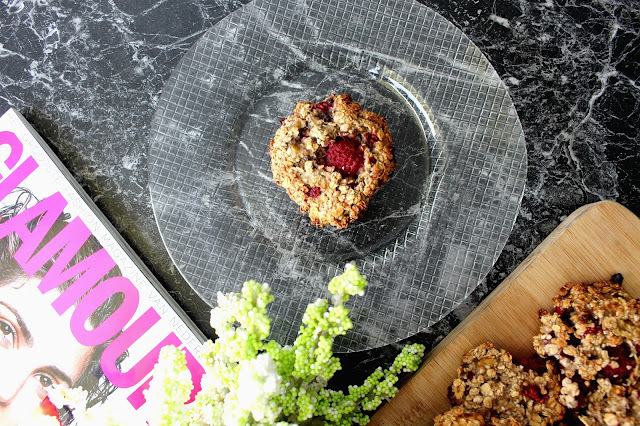 I love the inclusion of raspberry, it's undoubtedly one of the tastiest fruits :) Funny you should mention banana bread, I made some just this last weekend! I'll check out your healthy version of it for sure! 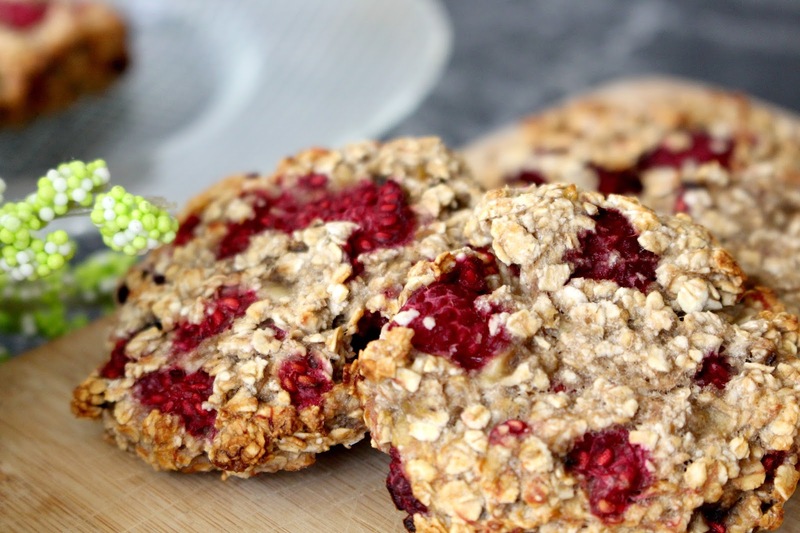 These look so good I love oaty cookies and with raspberries too even better!